Top tips, tricks and ideas, DIY improvements and motorhome mods that can also be made to caravans, campervans and RVs. Many of these modifications I have made and used on our own motorhome but I have also listed other tips, advice and product reviews that I have found on the Internet including ideas for day trips and visits. Our Auto-Sleeper Lancashire is a great compact motorhome and these DIY mods keeps me busy when we are not away in it. I hope you find them of interest – you are welcome to add your own comments to any of my posts. 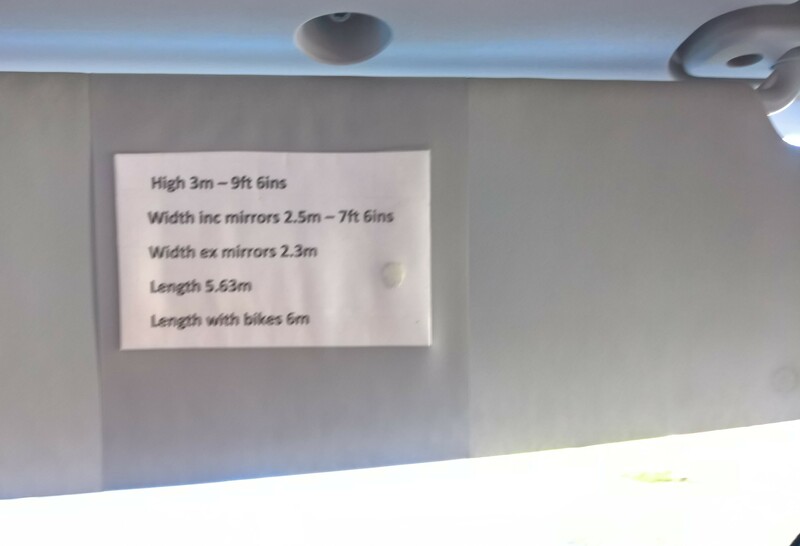 It’s a useful idea to have a note of your motorhome critical dimensions so when you see bridge heights, road widths for narrow roads or gates etc – you have that info ready at hand to check. I have mine on the back of the sun visor. PROJECT – Lockers Locked Indicators! PROJECT – How to Get Wifi From 4 KM or 2.5 Miles Away!!! TIP – Which way to open the Heki vent? INFO – Carbon Monoxide – A Silent Killer! TIPS – Stuck in the Mud? MODS – Light switch mod. TIPS – Tennis ball toe-tectors!! INFO – Reverse Polarity electricity supply risks abroad.